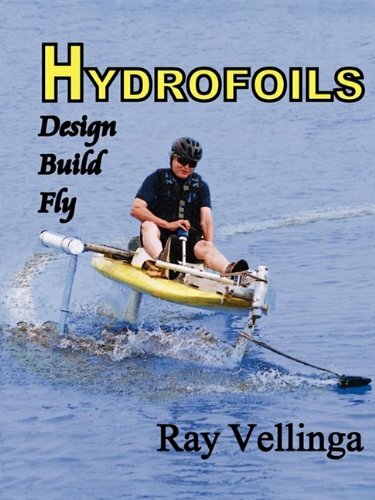 This is the first human powered hydrofoil ever. It was invented and designed by the bavarian engineer Julius Schuck. 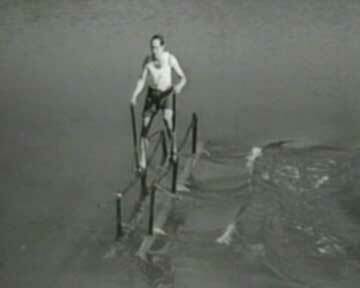 In 1953 it was presented the first time in the german Tagesschau (News) and the inventor himself rode his hydrofoil on the river Isar in Munich. In the 1978 movie Gizmo by Howard Stern the Wasserläufer has a small part. This movie was reporting about crazy inventions of past days. 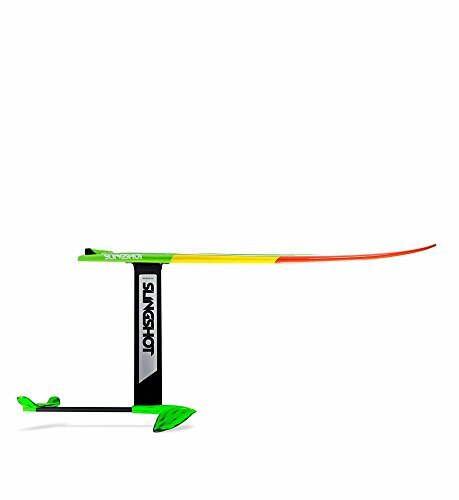 ?The Wasserläufer used Flapping Wing Propulsion far before anybody else even thought about this way of propulsion. 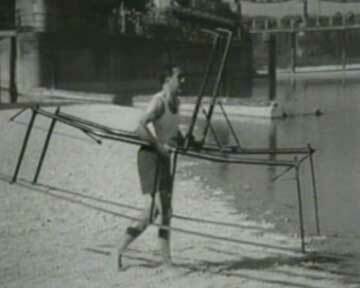 Below is the link to the News Video of the Wasserläufer.This is the first human powered hydrofoil ever. It was invented and designed by the bavarian engineer Julius Schuck. 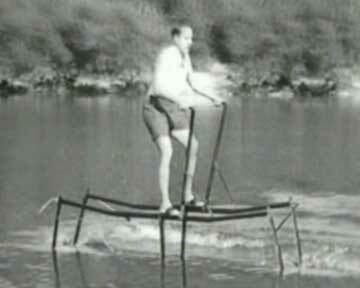 In 1953 it was presented the first time in the german Tagesschau (News) and the inventor himself rode his hydrofoil on the river Isar in Munich. In the 1978 movie Gizmo by Howard Stern the Wasserläufer has a small part. This movie was reporting about crazy inventions of past days. 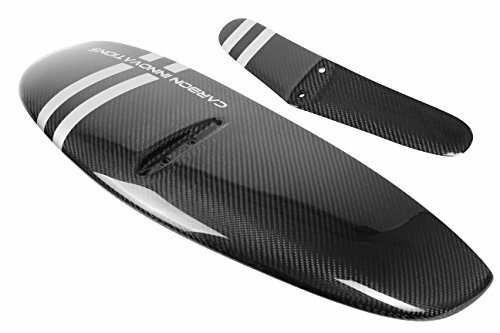 ?The Wasserläufer used Flapping Wing Propulsion far before anybody else even thought about this way of propulsion. Below is the link to the News Video of the Wasserläufer.